Women are discovering the many benefits associated with chiropractic care during pregnancy. Chiropractic can not only help women during pregnancy but also can help women recover after pregnancy. Women are choosing not to or are recommended not to take medications during pregnancy; thus, chiropractic care is one of the most sought after treatments during pregnancy. Dr. Will was one of the first pregnancy certified chiropractors in Loudoun County. He has has over 15 years of experience and many hours of specialized training. There are many hormonal and physical changes a women experiences during pregnancy. Some of these will have an impact on posture and comfort. As the baby becomes heavier, the mother's center of gravity shifts, and her posture adjusts accordingly. These physical changes during pregnancy can lead to a misaligned spine and pelvis (subluxation). Regular visits to Western Loudoun Chriropractic during pregnancy can address these issues. One collaborative chiropractic and medical study revealed that 75% of pregnant chiropractic care patients reported pain relief. 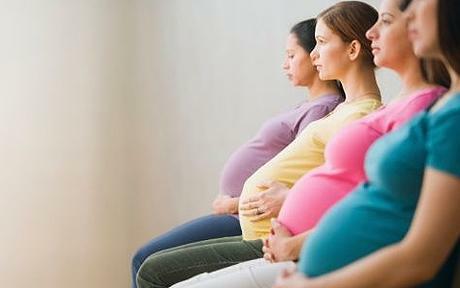 **Studies have shown that women under regular chiropractic care during pregnancy have faster and easier deliveries.